Private Internet Access has added support for shielded addresses! 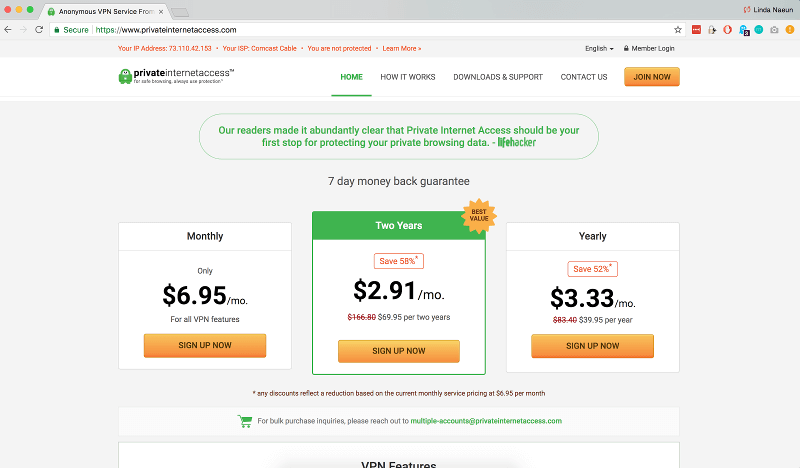 Private Internet Access protects your privacy by encrypting your connection and providing an alternate IP address to browse the web. You can now use your favorite privacy-preserving cryptocurrency to purchase a privacy-enhancing service. To purchase their services via a Zcash shielded transaction, ensure that your wallet supports shielded transactions. There is a community maintained list of them here. 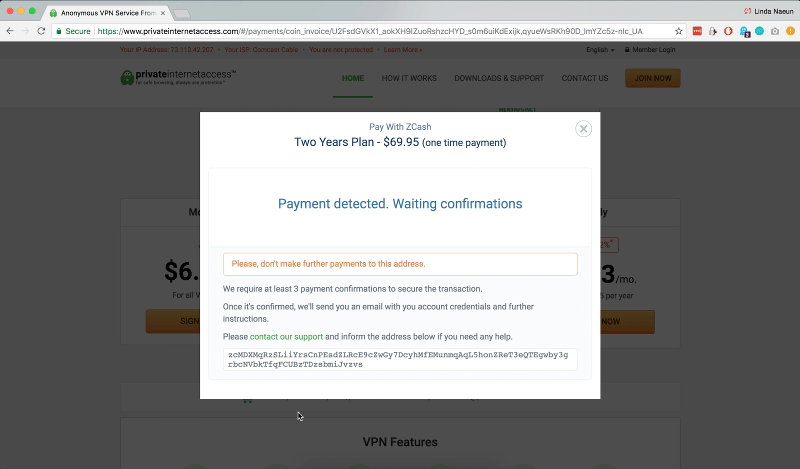 Once you have your wallet set up and funded, head over to www.privateinternetaccess.com and choose the plan you wish to purchase. 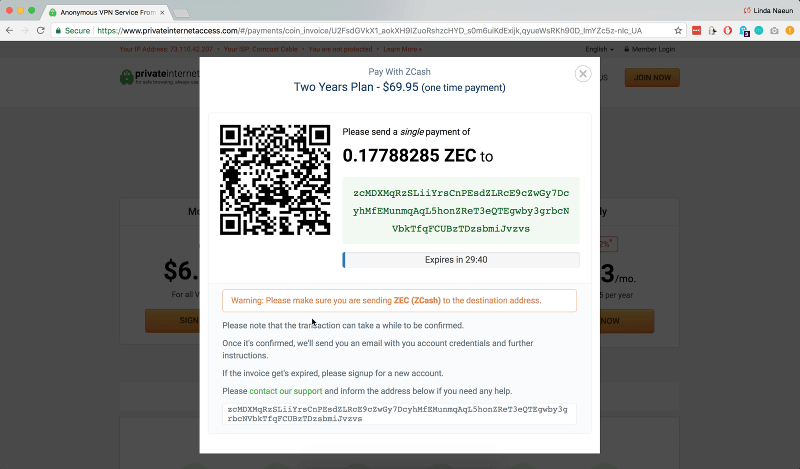 As your payment method, choose to pay with ZEC by clicking the button that says “pay anonymously with our Zcash z-address” option. You’ll need to enter in an email as a part of the purchase. If you don’t feel comfortable with providing your real email, use a temporary email services like dispostable, fakeinbox, or guerillamail. Make sure you are able to access the inbox, since that’s where they send credentials. 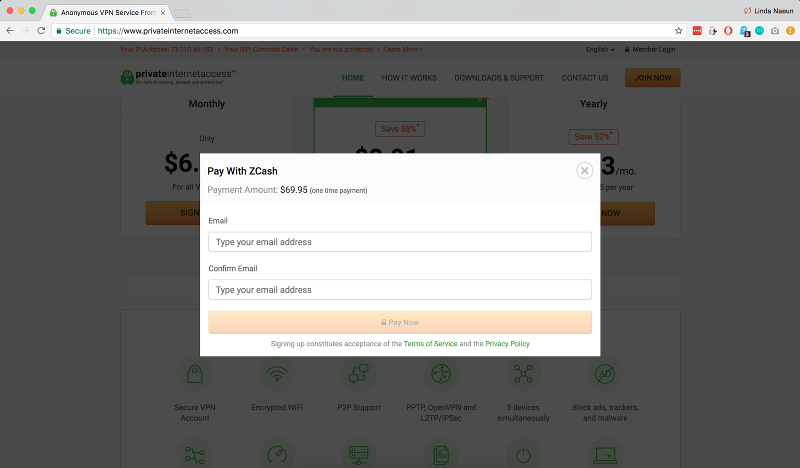 Then, follow the instructions on the popup dialogue to send the payment to Private Internet Access’ shielded address. You’ll need to wait for a couple minutes for your payment to be detected and confirmed. 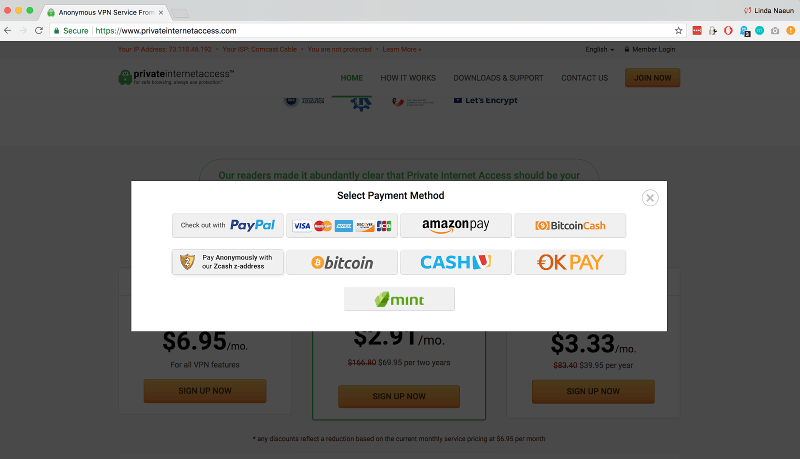 Once your payment is confirmed, you should see this popup! Congratulations! You’ve purchased a privacy-enhancing technology with a privacy-preserving cryptocurrency. Check your email for the activation code and follow the instructions in the email to set up your VPN service. 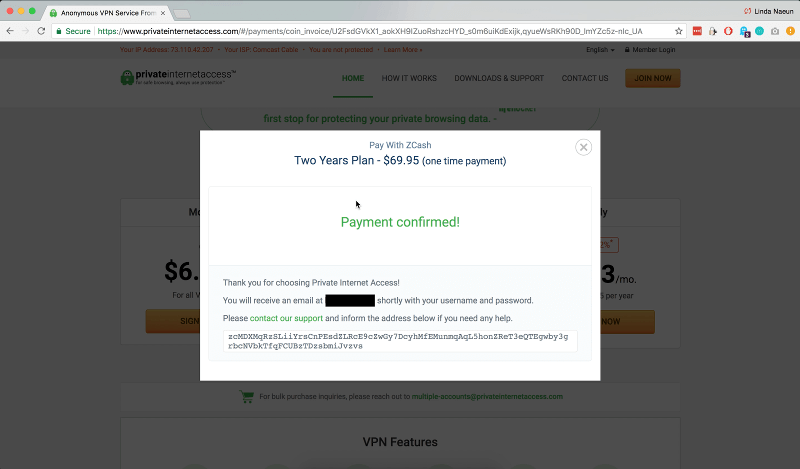 In addition to shielded address support, the Private Internet Access team has expressed intent to support VPN service activation without an email requirement using the Zcash encrypted memo field as a way to further enhance customer privacy. Learn more about Zcash support at Private Internet Access here. We’re very enthusiastic about how third-parties are using Zcash in new and interesting ways, so please let us know how you are implementing Zcash. You’ll be hearing a lot more about shielded address soon, as we launch groundbreaking performance improvements for shielded addresses that make them more feasible to use on mobile devices.